Registration is now open for the Color Me Davison 5k Fun Run brought to you by APTC and the @DavsionChamberofCommerce. The race is in its 3rd year, and each year has been a huge success thanks to all who volunteered and participated. We’ve had a blast! And, more and more people are joining the festivities. The race is part of the Davison Festival of Flags,which is a five day celebration with a parade, fireworks and carnival. If anyone is interested in volunteering for the event, we are always looking for extra hands. The race is on Thursday, June 11th at 6:00pm in Davison Regional Park in Davison. If you would like to register, please go to https://endurancecui.active.com/event-reg/select-race?e=14624853. The Color Me Davison 5k Fun Run is a family friendly, non-competitive race that encourages participants of all shapes, ages and abilities to experience the beauty of Davison Regional Park. Participants of the race will travel along the scenic route and pass through six color stations where spectators will dowse them with non-toxic colored powder. By the end of the five kilometers, participants will be covered head-to-toe in the colors of the rainbow, and their race T-shirt will be a colorful memento of the fun time they had. As you know, APTC wants to offer you the best in physical and occupational therapy. One of the ways we do that is by investing in the latest treatments and technologies. We are excited to announce that our Grand Blanc clinic now has the Biodex Balance SD System. More details to come about this amazing piece of equipment, and how it is helping us assess fall risk and concussion. 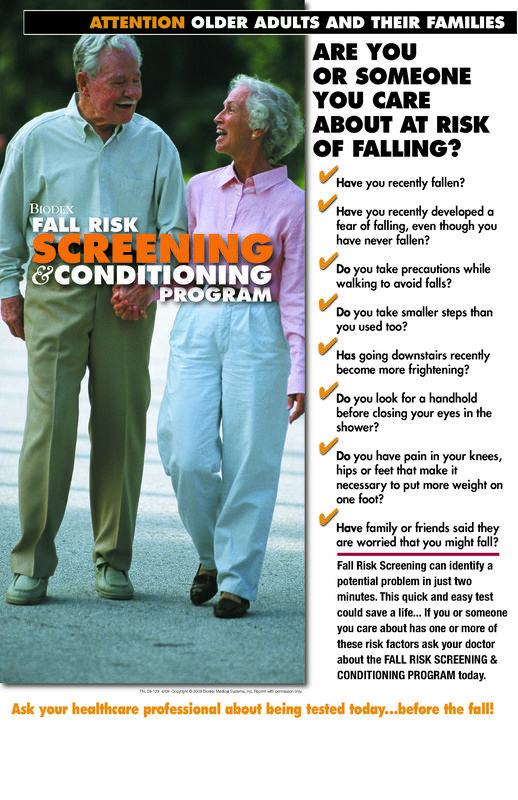 Read below about fall risk screening. For more information, you can contact us at (810) 695-8700. 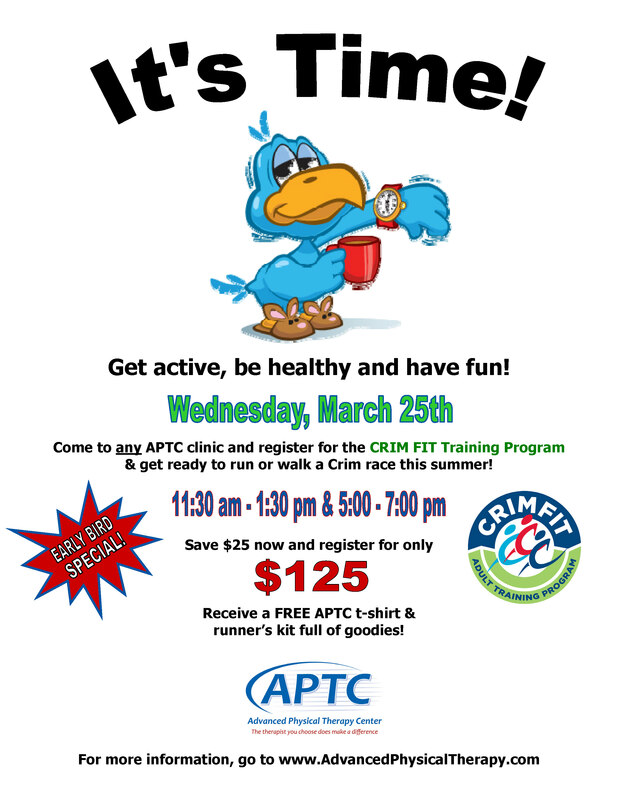 The Crim has decided to offer an even lower price for our CrimFit Adult Training Registration Program tomorrow. Only $115!!! Take advantage & save!